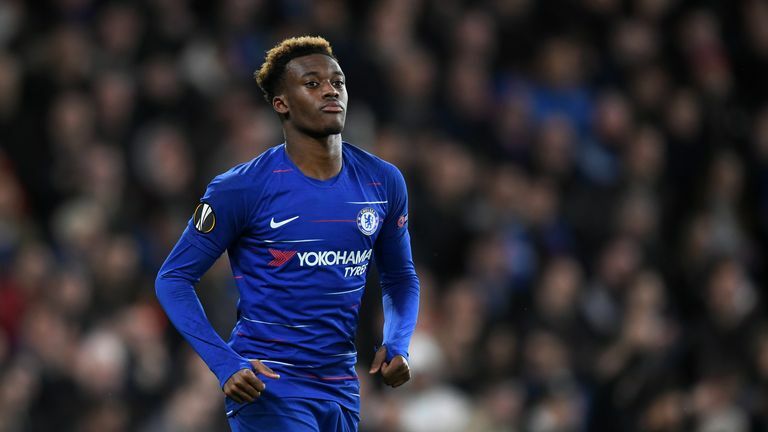 Chelsea have rejected an offer of more than £20m from Bayern Munich for Callum Hudson-Odoi, Sky Sports News understands. Chelsea have told Bayern that they value the England U19 international at closer to £40m. Bayern have made Hudson-Odoi their top target in the January transfer window and initially failed with a bid of around £13.5m before returning with a second offer. Hudson-Odoi joined Chelsea at U8 level and is viewed as one of the finest talents in the club's academy and one of the best players the Blues have produced in recent seasons. German football journalist Raphael Honigstein says the youngster has a 'cult following' in the Bundesliga. "There's been a lot of clubs interested in him, and he's made so much progress," he said. "His stock has risen to the point where he's gone from Borussia Monchengladbach to Dortmund, to right at the top now where Bayern are interested in him. "It's the (Jadon) Sancho effect - everyone thinks they can get the next Sancho, and I also think from his point of view, he thinks he can be the next Sancho, doing what Sancho's done going to the Bundesliga.